The texture is amazing and there are so many uses for this. There is still a slight peanut butter flavor if you use hazelnut extract so not to worry if you don't have it. This stuff is seriously good - good enough to eat with a spoon! The trick is to make sure that you sweeten this mixture adequately. It needs to be very sweet and not salty-tasting. Everyone will use their own favorite sweeteners, but I find a combination of sweeteners is best. Please use the specific peanut butter suggested below for the best results. Use with my Top Favorite Low-Carb Crepes or my Ultra Low-Carb Crepes. 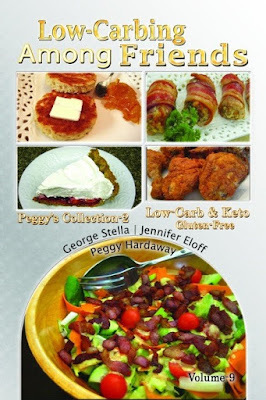 EXCITING NEWS: The sequel to Peggy Hardaway's Recipe Collection's here!